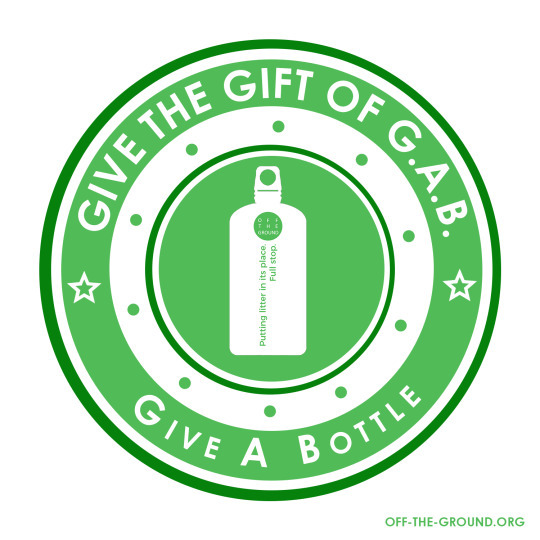 Off the Ground and Refill Chippenham would like to invite you to give the gift of GAB in 2018: Give A Bottle. A reusable one of course. Imagine for a moment if everyone gave a reusable water bottle as a birthday gift to just two friends or family members this year. And those two each gave a reusable bottle to two more people. And so on. It wouldn’t take long for everyone to have a bottle and—hey presto—a new social norm has been born: you reuse bottles and forgo the disposable ones. There are so many types of bottles (and cups) on the market now, there is bound to be a design that is the perfect fit for every personality. So please consider how you can be GABby this year and share the joy of reusable products.